Paul Hamilton's Pilot-Stores.com gladly accepts orders from all around the globe. Available product lines, shipping rates and fees may vary depending on the delivery address for your order. Shipping rates on items we sell are weight-based. The weight of any such item can be found on its detail page. To reflect the policies of the shipping companies we use, all weights will be rounded up to the next full pound. If the shipping rate is not calculated correctly for the shipping method selected, it will be recalculated. If the appropriate shipping method is not selected during ordering, it will be corrected and the shipping rate will be recalculated accordingly. Carriers: Typically US Postal Service, UPS, FEDEX. Carriers may be substituted from time to time to provide better service to you. You select the method during checkout. Items may be shipped by a variety of carriers. Items may be shipped to P.O. boxes and APO/FPO addresses. Delivery time, depending on the method you select, is usually Next business day - 7 Business days. Paul Hamilton's Pilot-Stores.com will be shipping all packages through a trackable service. 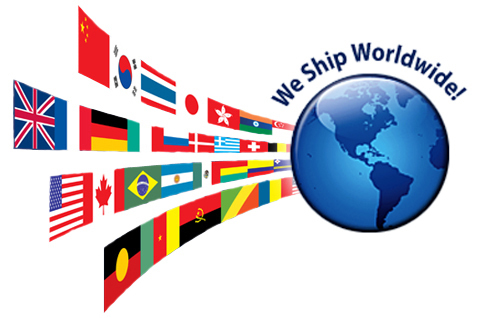 Your packages may be subject to the customs fees and import duties of the country to which you have your order shipped. You will be responsible for any import fees for the package at the time of delivery. Items may be shipped by a variety of carriers. Items may be shipped to P.O. boxes. Delivery time is usually 7 - 21 Business days. 1. Enter the recipient's full name and address in the relevant fields. 2. Enter "APO" or "FPO" in the City field. 3. Enter "AE" in the State/Province/Region field if the recipient is stationed in Europe, Canada, Africa, or the Middle East. Enter "AA" if the recipient is stationed in Asia or the Pacific. 4. Regardless of where the recipient is stationed, select "United States" from the Country drop-down menu. Following these steps will ensure that you're charged the correct shipping amount and that your order will be delivered in a timely fashion. All shipments to APO/FPO addresses are sent via U.S. Priority or First Class Mail and should be delivered within 3 to 7 business days from the date of shipment. You may be subject to import duties and taxes, which are levied once the package reaches your country. Additional charges for customs clearance must be borne by you; we have no control over these charges and cannot predict what they may be. Customs policies vary widely from country to country; you should contact your local customs office for further information. Additionally, when ordering from Adventure Productions, you are considered the importer of record and must comply with all laws and regulations of the country in which you are receiving the goods. For example, most items on our site show next business day availability. If you select Standard Shipping for U.S. shipments, your shipping time will be 2 to 6 business days, depending on where you live. This means your total delivery time will be 3 day (availability) + 2 to 6 days (shipping time). So you can expect to receive this item at your front door 5 to 9 days after you place your order. Contact us at info@pilot-stores.com or phone (US) 1.775.772.1232 MON-FRI: 8 AM - 5 PM PST.